Car Trip Chair Rob Suminsby announced he will be planning a return car trip to Silverton, CO, and the Grand Imperial Hotel for New Years 2017. Silverton has been one of our favorite ski towns, with numerous ski routes for all levels of skiers, from Class 1 through the new Class 4. Dates will be Thursday, Dec 29, through Sunday, Jan 1, although the exact dates have always been a little flexible. Routes in this area are as spread out as they are varied, with routes along 550 over Red Mountain Pass and as far as Ironton Nordic Area, north along the Animas River to Eureka and their famous hot coffee at Denny's, and south along 550 to Molas Pass and perhaps further to Coal Bank Pass. 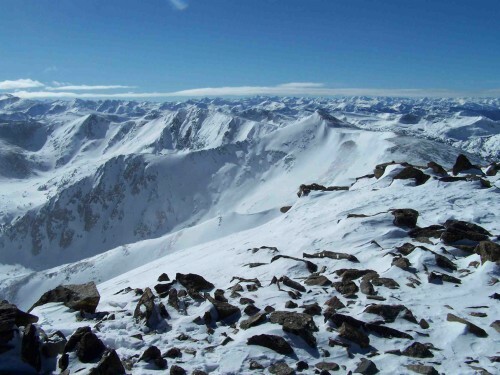 Some great class 3 and 4 skiing is available at places like Red Mountain and Silverton Mountain. 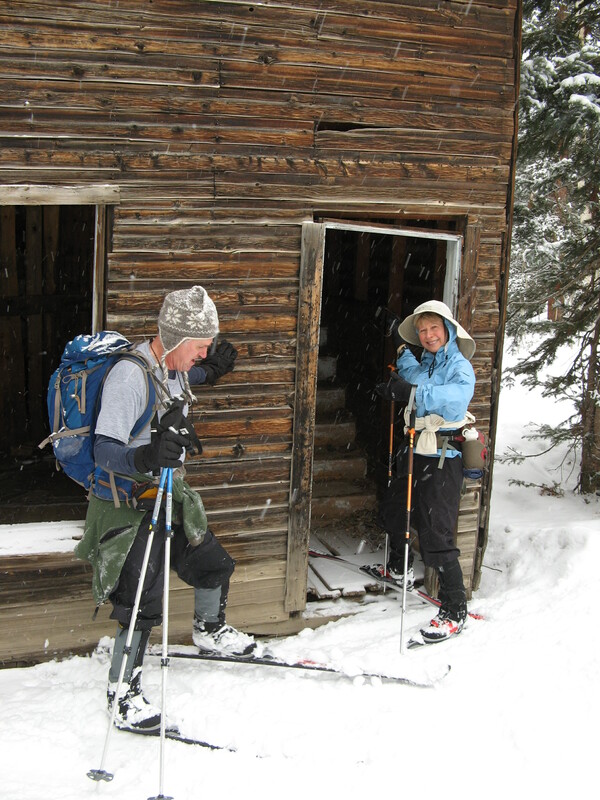 And at the other end of the spectrum is skiing out the Animas River Trail. And if your thing is the wildlife, you can look for moose along the South Mineral Creek trail, a class 1 or 2 route that only depends on how far you want to go. We will again get a block of rooms at the Grand Imperial, with some options for food. Their beautiful bar should be available for those wishing a little liquid refreshment. However, we observed the hotel making major improvements last year when we were there, so the expectation is that rooms will be going for $145 or so. If this gives you too much heart burn, contact Rob for some alternatives. Watch for more detailed information on how to sign up in the fall. Since this will be a car trip, there will be a lot more flexibility in routes and arrangements.